This chest measures 56 1/4" Wide x 35" High x 15" deep. This design may be made with two to four drawers per row (five drawer discontinued). Up to four rows may be stacked one on top another. For expand ability, rows may be ordered separately as your collection grows. Drawer bottoms are made of aromatic red cedar unless otherwise specified in order to repel moths and for maxims archival protection. No longer available in 5 drawers, 2 - 4 per row only. Click to see some photos of these drawers. Click to see photos of some other drawers I make. The chest may be constructed of various hardwoods. Mixing and matching for the top, sides, drawer fronts, knobs and pegs will give a variety of interesting looks. Cabinet tops are joined to the sides using many fine dovetail joinery. Dowel pegs may be interspaced between the dovetails as a design accent. Cabinet sides and tops are matched using butterfly joints. Drawer insides are made of high quality poplar or basswood for stability and strength. Drawer bottoms are made of poplar, basswood or aromatic red cedar for archaival purposes.. All surfaces, inside and out are finely sanded. Drawers are made to perfection, with an almost airtight fit. Drawer insides are left unfinished in order not to damage contents. 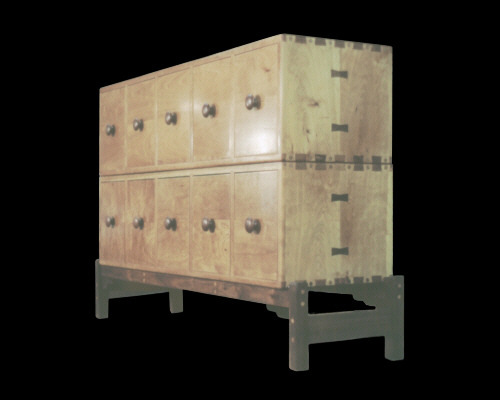 The general pricing guide for these chests is $200.00 X (number of drawers). 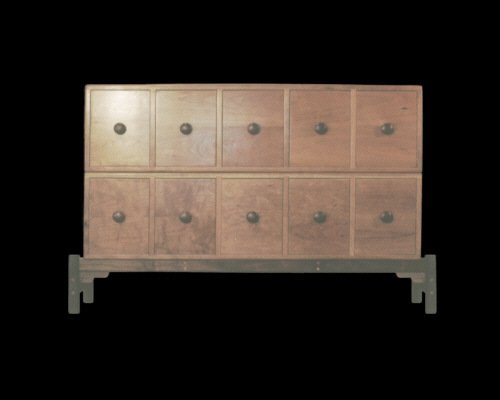 For example, a 4-drawer chest 12" deep would be $800 plus packing and shipping. Add $50 for each additional inch of cabinet depth greater than 12" up to a maximum of 18". Note: depending on the number of drawers per row, maximum depth for FedX shipping is 15". The supporting stand may be of various designs and is priced extra, usually $250 - $300. Price may vary somewhat depending on the choice of woods. Call or e-mail for more details. 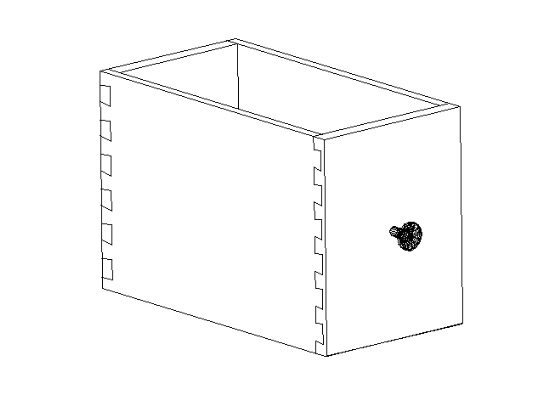 In order to figure capacity, subtract 1.43" from the overall outside cabinet depth then divide by 8. That should give you a close estimate.